Our monthly handout has gone to an up and coming violinist, Sophia Constantinou. Sophia is 13 years old, and has already achieved Grade 8. She attends the Royal Conservatoire in Glasgow, and the money helped her with fees for the National Youth Orchestra of Scotland and the West of Scotland Schools symphony orchestra. 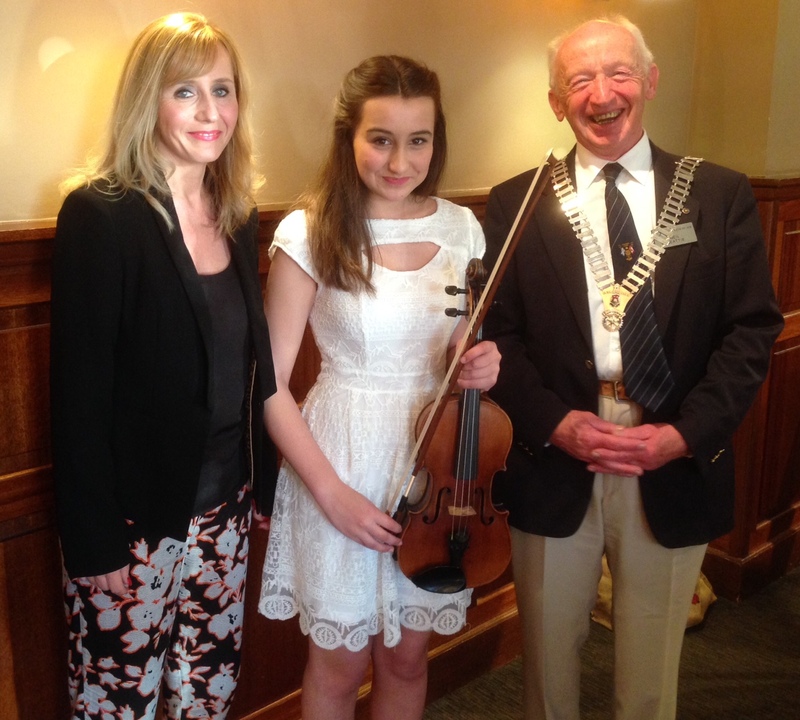 Sophia visited the Club on 21 April 2015, and played a technically challenging piece with great aplomb.